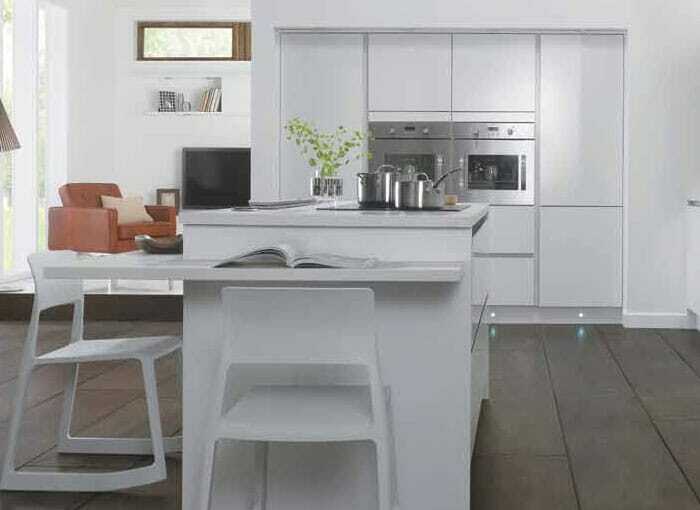 Acrylic kitchen worktops form a part of our extremely popular solid surface worktops collection. Acrylic is a form of plastic made from polymers of acrylic acid. 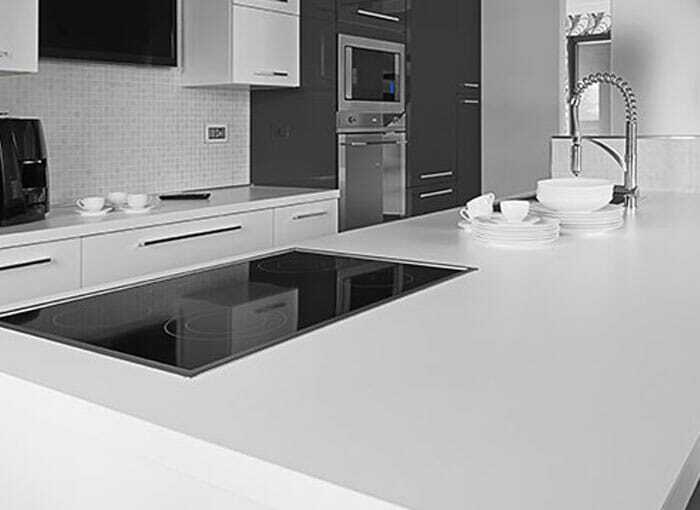 Acrylic worktops give your kitchen a modern, fresh look that stands the test of time. 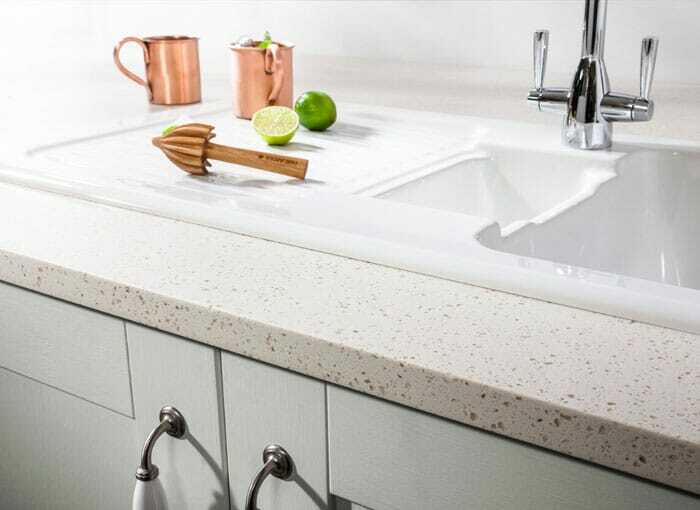 We stock acrylic kitchen worktops from the leading kitchen worktops brands including, Encore worktops, Earthstone kitchen worktops and Corian kitchen worktops. We also have an extensive selection of Apollo Magna kitchen worktops and Apollo Slabtech kitchen worktops for you to choose from too! 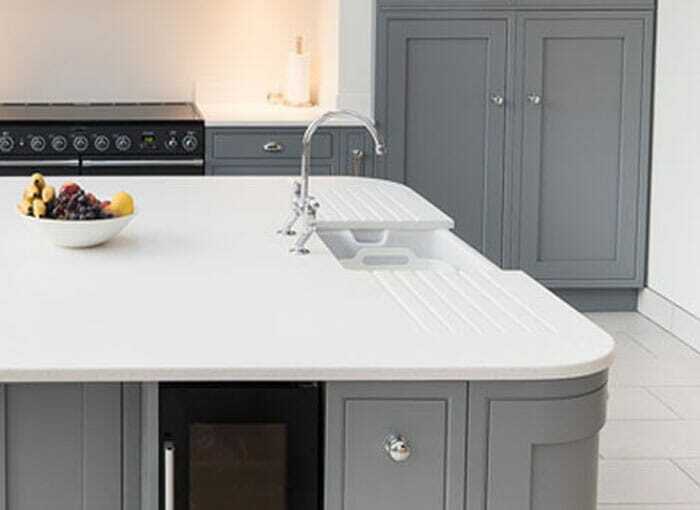 Acrylic worktops provide numerous benefits, the beautiful worktops have joints that are almost invisible, making the work surface appear seamless and continuous. 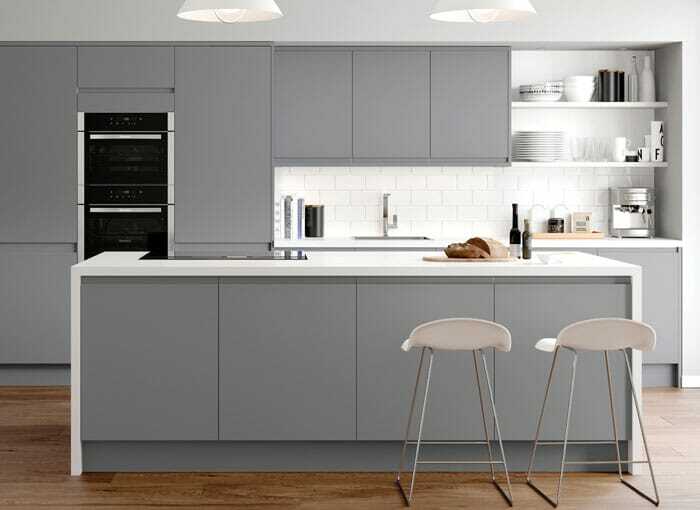 Our entire high quality acrylic kitchen worktop range are designed to keep their colour meaning you'll have a superb work surface that will last. 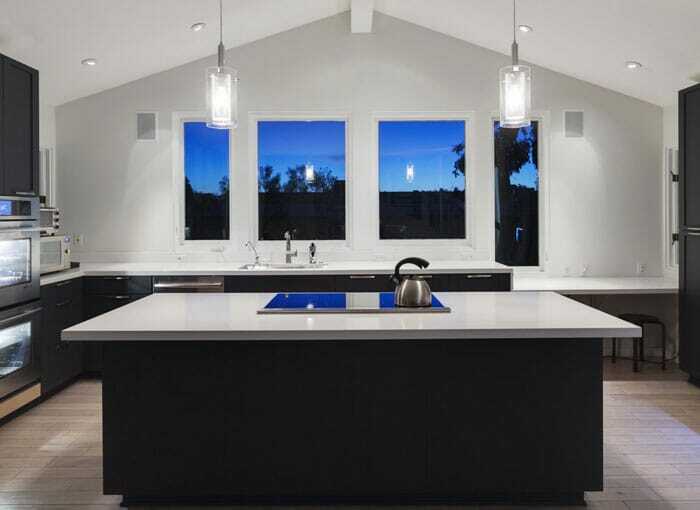 At HC Supplies, we have a large range of acrylic kitchen worktops for you to choose from and in large array sizes, finishes and colours to compliment any kitchen design. Acrylic worktops have outstanding properties which really makes them a standout kitchen worktop material. Acrylic kitchen worktops are very hygienic due to them being a non-porous material. This prevents liquid and solids from permeating the surface which stops bacteria to grow and thrive. This design also prevents staining so you don’t have to worry about spilling that glass of wine! Acrylic kitchen worktops are incredibly easy to clean and maintain. For spillages, use hot soapy water and a non-abrasive damp cloth. To keep your acrylic worktop in top shape, do not use ammonia based products. This will ensure the colour does not fade meaning you’ll have a beautiful acrylic kitchen worktop for years! At HC Supplies we believe we offer Acrylic worktops at the best prices around and offer a no fuss guarantee for your 100% satisfaction. 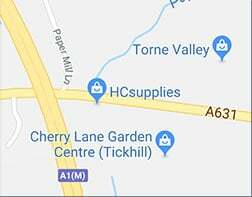 Why not visit our showroom situated in Doncaster, South Yorkshire and sample our fantastic selection of acrylic kitchen worktops? Our staff are highly experienced and friendly to ensure you get the best possible advice when choosing the perfect polished concrete worktop for your kitchen. Our Acrylic kitchen worktop selection is usually available for delivery within just 2-7 working days! 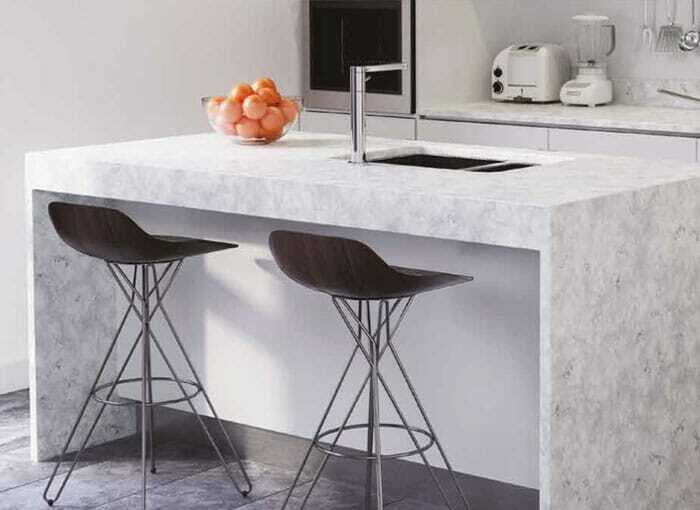 If you’re not sure about choosing acrylic as a worktop surface, we also stock an extensive range of other solid surface worktops, such our granite kitchen worktops and quartz kitchen worktops range. If there's anything you're unsure about, or you would like some expert advice to help you choose your next worktop, please do not hesitate to give our friendly team a call.